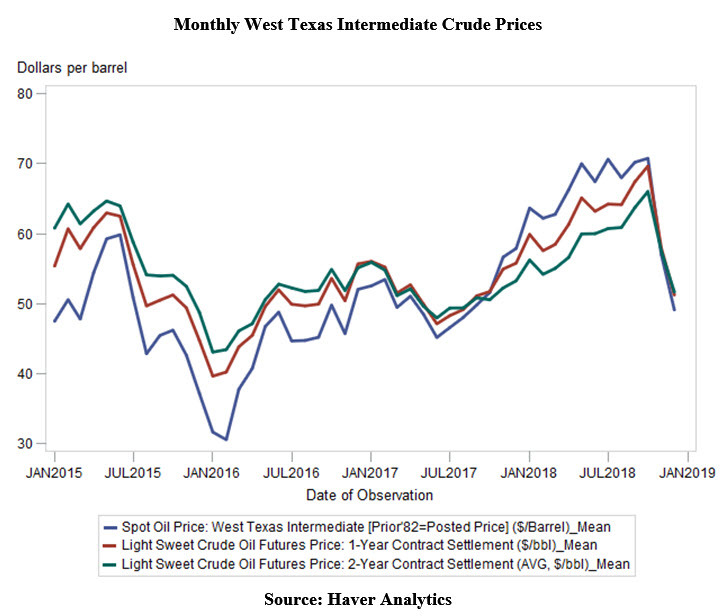 In a December blog post, I looked at quarterly oil prices (Looking ahead: The link between oil and land prices). Well, guess what has happened since those futures traders switched from anticipating higher oil prices to expecting lower prices? The chart shows a steep plunge in prices just as the election season climaxed and afterward.